Okay, so with the addition of Carter to the family, Jeremy and I debated on how we should do blogs for both boys. Do we have 2 separate websites, change evanhaslanded.com to another name or keep evanhaslanded and make it for both boys? We have decided to keep evanhaslanded, for right now at least, but make it a family blog. Sorry Carter, hope you don't take it too personal. We may change our minds too, but for right now evanhaslanded will continue. As you can see we have changed our look, hope you will enjoy reading our stories and viewing our pics. We have been extremely busy the last couple of weeks - trying to get in as much as we can before the warm weather leaves. Jeremy has been really busy with work so the days he has been off we have crunched in family activities. We went to see Thomas with the Loyds. Evan likes trains but he liked the putt-putt course a lot more. He is his father's son that is for sure. We also went to the zoo for the very first time with the boys. Evan absolutely loved the zoo. We got there right when it opened and no one was there yet so Evan had the whole place to himself. His favorites were the monkeys and the peacocks that roamed free. Carter had his 2 month checkup this week also. He measured 24 inches and weighed in at 14 pounds 4 ounces. He grew 4 inches and gained 5 pounds in 7 weeks. Way to go Carter! 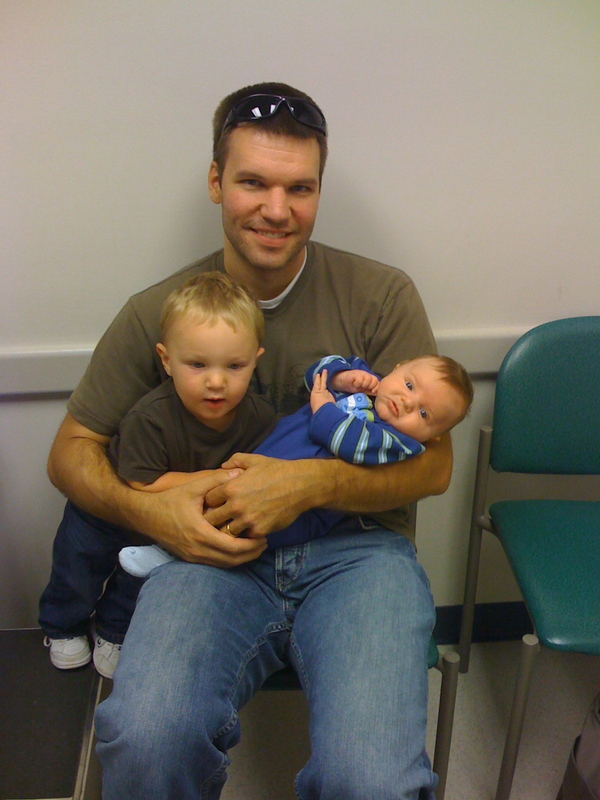 As a parent of 2 boys, I make it a point not to compare Carter with Evan but a quick comparison...Evan who was a pound lighter than Carter when born was a pound heavier than Carter at his 2 month checkup. HMMMM interesting. 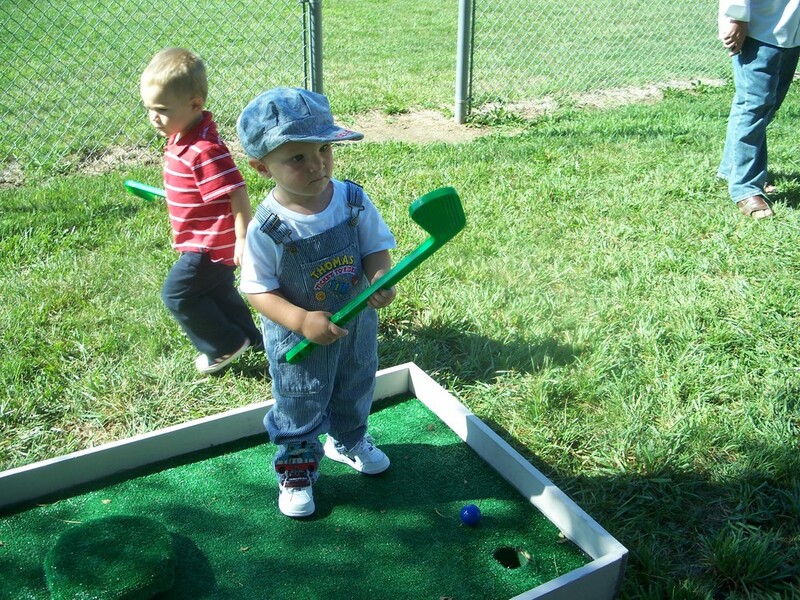 Check out this video of Evan putt-putting. He has as much patience as his mom when it comes to playing putt putt. 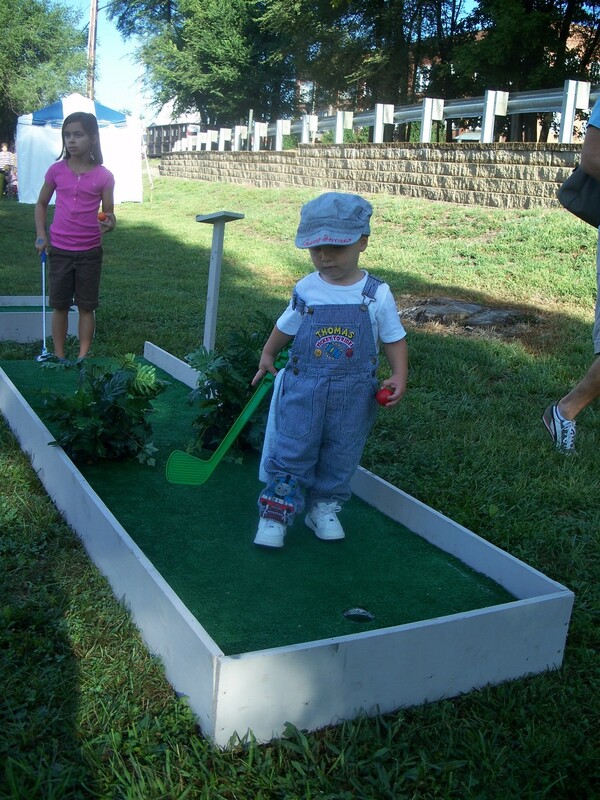 Evan putt putt Photo Gallery - click on the photo to enlarge.